Hubs came home from work the other day and came into the room where I was typing my Virtual Assistance work. He asked how much more typing I had and then explained that he "brought me something". So, when I finished working, I went to find Hubs. He proceeded to hand me a plastic bag and say, "Put it on a tree, in the grass, wherever you wanna put it and photograph it to your hearts content. I knew you'd like it, but knowing my luck, it's probably some giant African cockroach or something." I laughed, and then he said, "Well, if you and Bear find out that it is something like that... ummm, could you kill it after you photograph it?" I asked Hubs what the other guys working thought when he said he needed to bring the bug home to me. He laughed and said the guy who owns the house where they were working asked, "What are you, some kinda bug guy or something?" and Hub's co-worker replied "No, but his wife will be all excited and have about 20 photographs of that thing in no time!" Ha! I guess everyone knows me and my issues. and forgot to have someone sign me in on the linky. I must admit I like the bird (such beautiful colors) better than the bug (such big eyes), Misty, but I know you must have been pleased with it. That is one beautiful little bird. 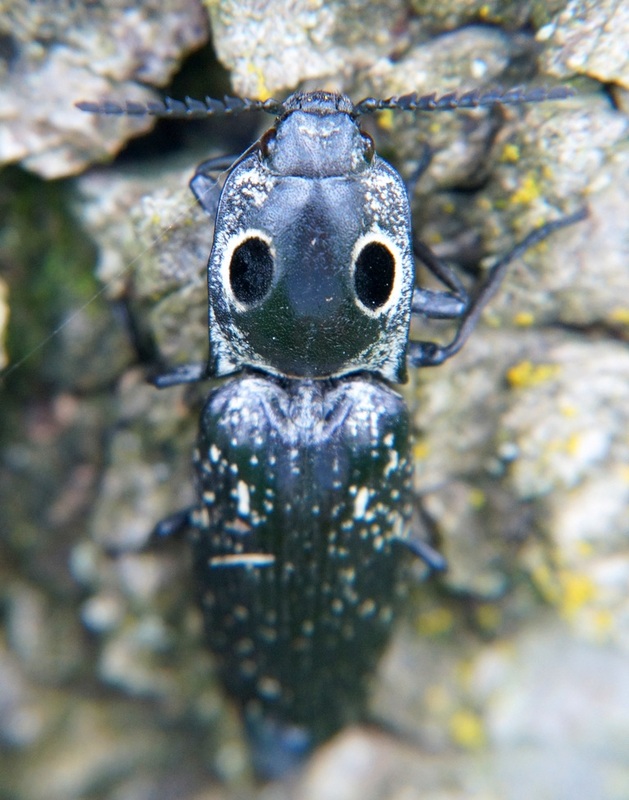 Misty, cool looking bug. It is great that your hubby is always thinking of you. Lov ethe shot of the Kestrel. love the blurry background of the first one. and the bird photo is exceptional, too. Now that is love! :) What a guy! I do like the Kestrel. Thanks for sharing . I can totally relate. On our recent visit to Oklahoma, my step dad saved me a scorpion to photograph...lol. 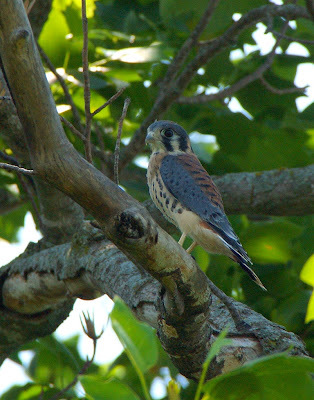 The American Kestrel shot is wonderful. What an awesome bug and capture.